The fourth point in the above list, access gates, provides the focus of our post today. 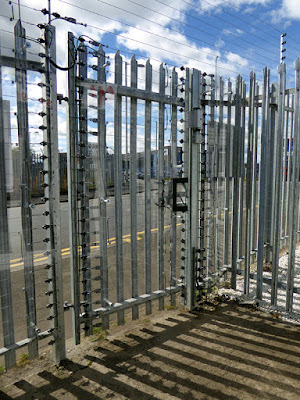 Perimeter access gates can vary in their modus operandi and be swing or sliding type. Gate size is determined by the type of access required – whether for personnel or vehicles. 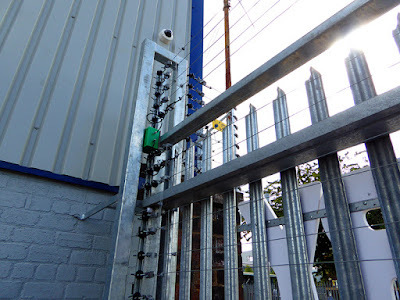 Our Electro-Fence technology can be installed not just on the perimeter fence but also across the access gates and thus affords a premium, high security solution. 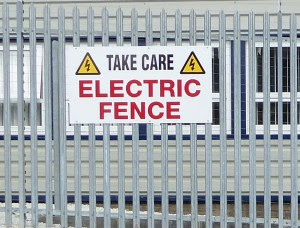 Both swing gates and sliding gates are suited to being converted into electric fence gates. With swing gates, a customer might have single and double leaf types but it does not make any difference – we just need to know how many gates, the type, width and where they are within the perimeter. Gates can be included in the zone or have their own dedicated zone. 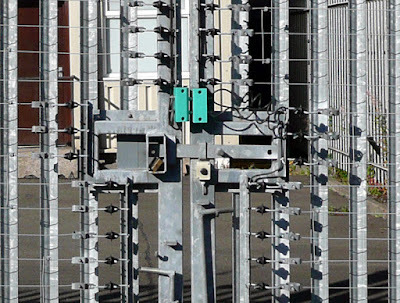 The principle of creating an electric fence gate is very much the same as with fencing, just with a high voltage gate contact added into the equation. With single leaf gates, a width of up to 4m is straight forward but even wider gates are no problem; it simply requires some intermediate sections to be added. 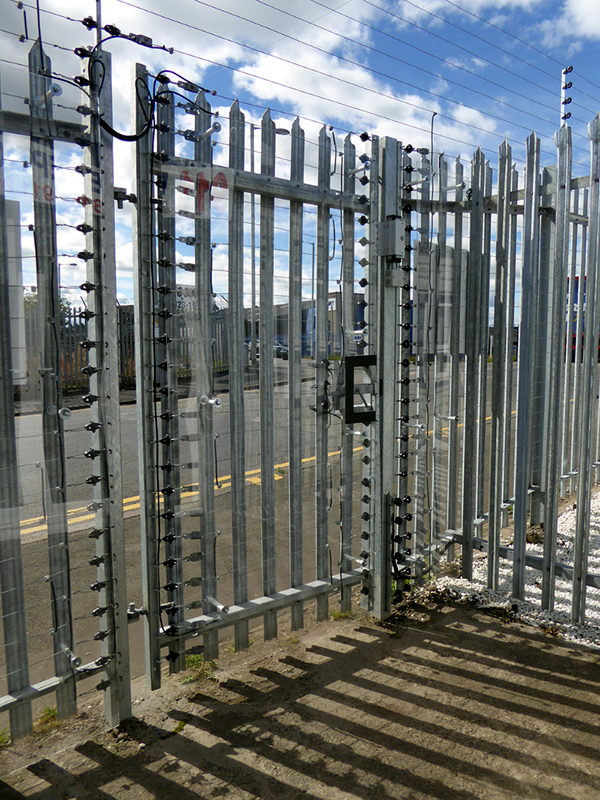 With double leaf gates, a width of up to 8m is routine but, as with single leaf gates, greater widths can be accommodated by using intermediate sections. The photograph below shows a double leaf gate with manual entry system. Note that the electric fence technology goes around the point of manual contact, thus ensuring safe operation. 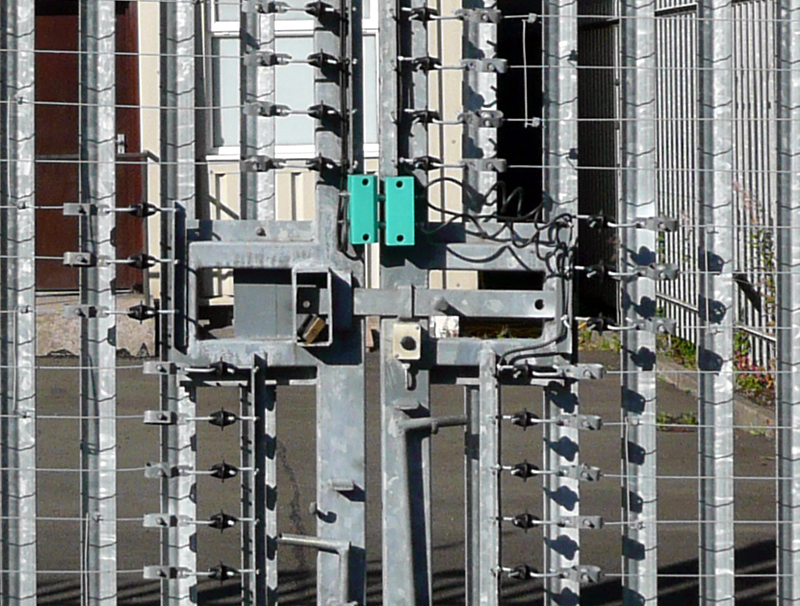 With sliding gates the high voltage contact is often installed in different places. 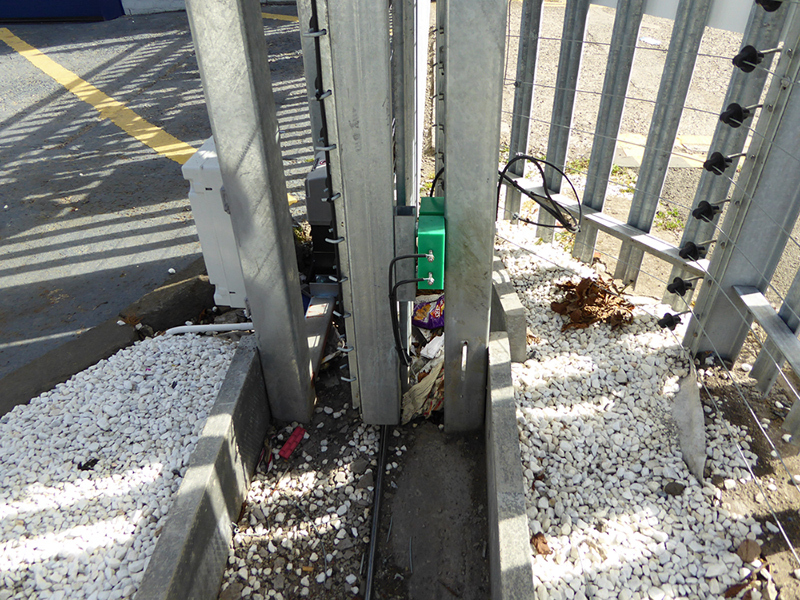 Above are two photographs of sliding electric fence gates from an installation carried out by one of our approved electric fence installers. Apart from the very real protection that is afforded to the site, gates that look like this present a very strong visual deterrent to would-be thieves. Add into the equation a suitable large sign and it is unlikely any intruder will think twice before trying to breach the perimeter!